The style of the property itself is very classical. 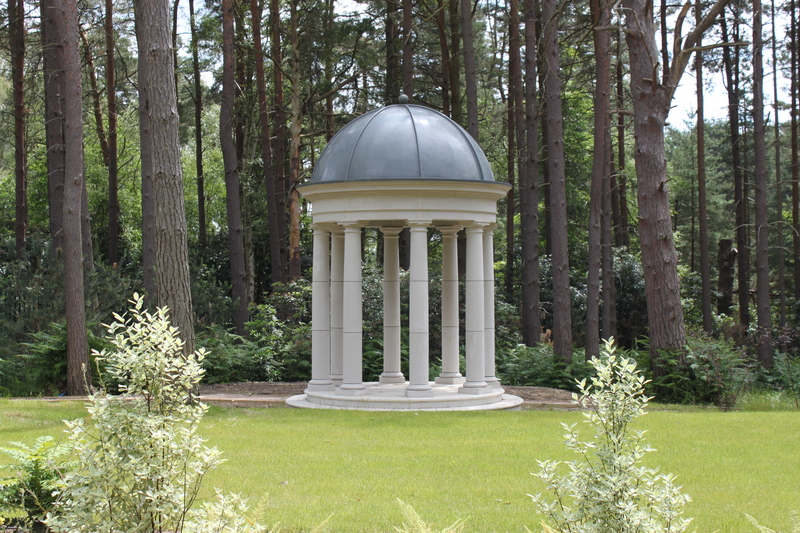 The design of the garden had to reflect both this style and its rural surroundings. It had also to maximise the views from the rear of the property across the expansive gardens to the golf course. Privacy and security were key. The front garden had to frame the property as a visitor drove down the drive towards the house. 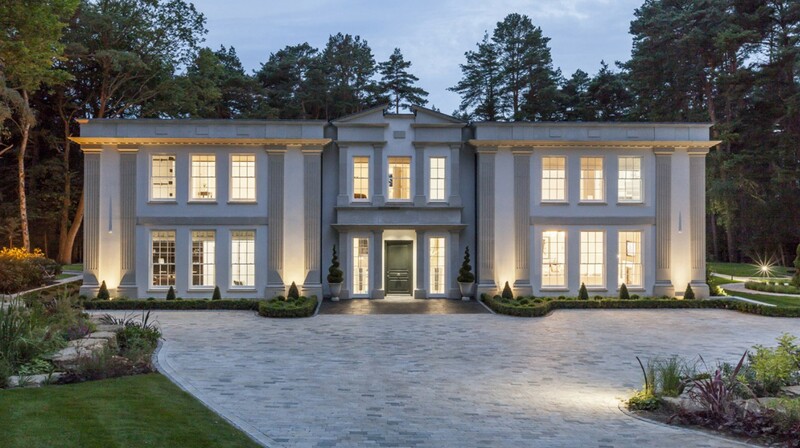 Located in one of the most prestigious estates in Surrey, the site backs onto the world famous Wentworth golf course. The four acre sloping site is heavily wooded. The residence is at the end of a long private drive amid the trees. The materials chosen for the front drive and rear terrace were in keeping with the colour of the materials of the property itself. 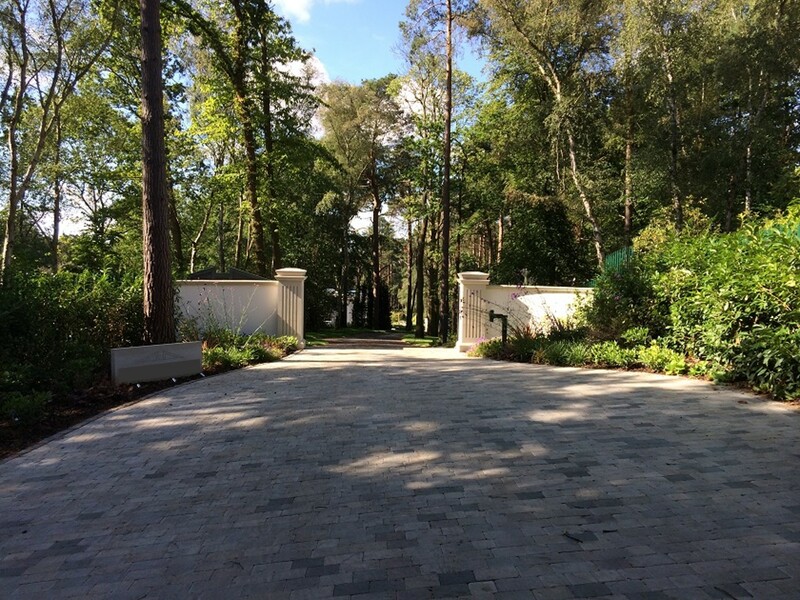 Beautiful silver stone blocks were used for the drive and the paths with dramatic black limestone for the rear sun terraces. 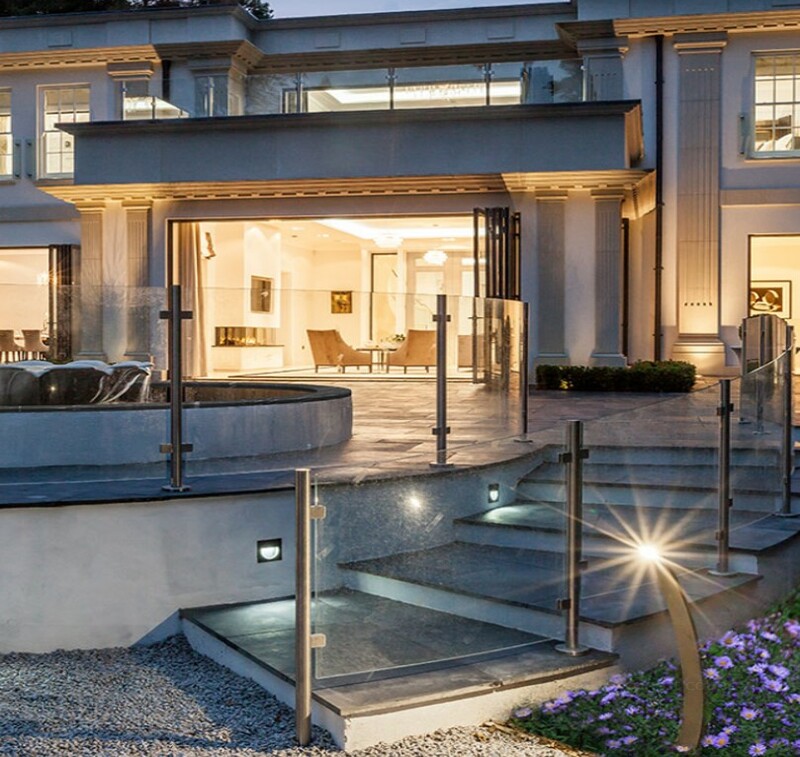 The rear sun terraces were framed with contemporary glass balustrades matching those of the house. A number of trees were cleared from the rear garden to open up the views and over a hundred new trees planting to maximise the privacy. 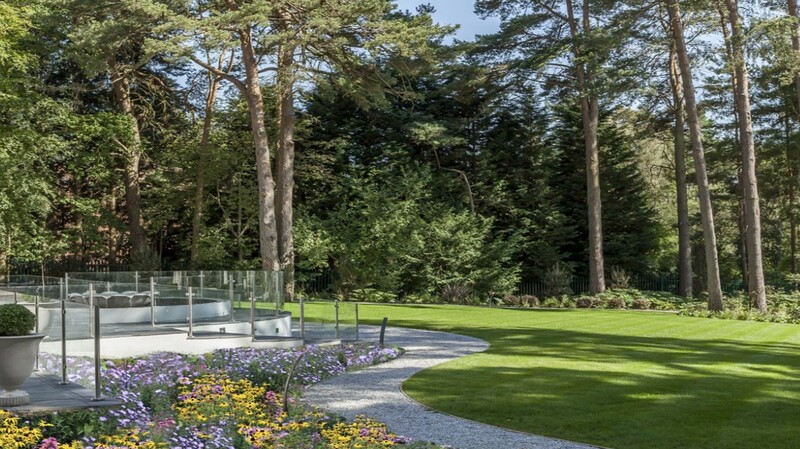 The extensive planting was in keeping with the woodland feel of the grounds. 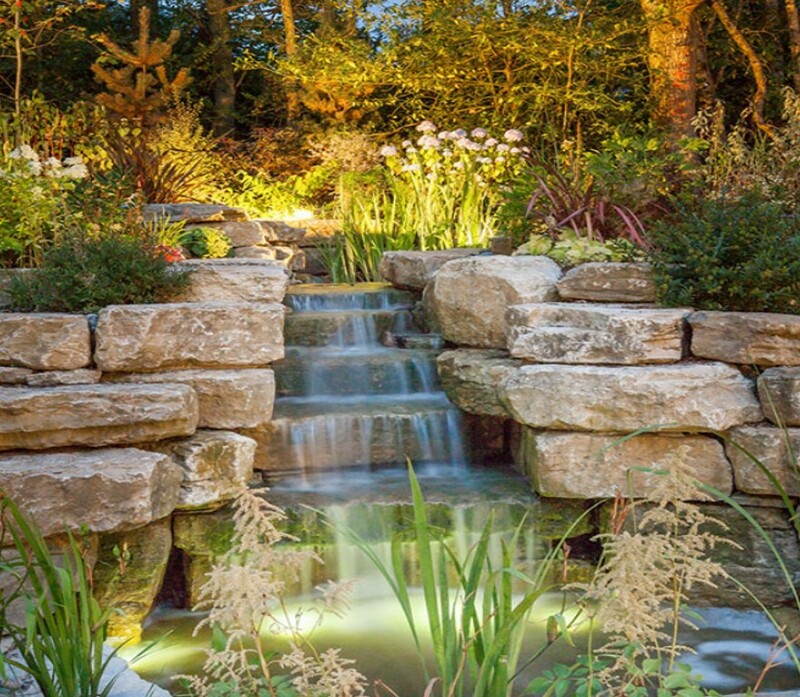 Key focal points were created by constructing a dramatic Purbeck stone cascade to the front of the property and a temple located deep in the trees to the rear.